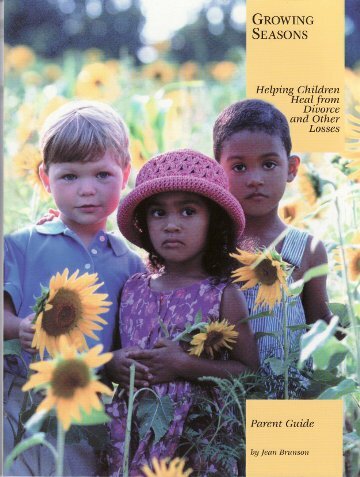 Divorce devastates children. It leaves them frightened, angry, confused, and lonely. They cry themselves to sleep, because they believe they caused it. Yet they want to protect their parents, so they don’t talk about it. Some children act out and some turn their anger inward. When a parent dies, children have the same feelings. Many wonder what they did to cause the death, so they feel shame. They also want to protect the living parent. They sense that their remaining parent is emotionally fragile, so they may try to take the place of the parent who died. Many children live with grandparents, adoptive parents, addicts, parents who are in prison, and/or with an unmarried mother. Your church can help these children. They are hurting and they need help and they need Jesus. Does your heart break over children who are grieving because they don’t have both parents living in their homes? You may want to help, but you don’t know how. Growing Seasons is a Christ-centered small group curriculum for churches and para-church organizations. All you need to get started is the Facilitator Guide. You will probably want the children’s parents to get the Parent Guide. It will help them learn to listen to their children’s feelings and respond appropriately. Growing Seasons has been helping children for twelve years. Introduction: This includes an opening Prayer, a Bible verse, and a fun activity to help the children feel comfortable. Self-Awareness: The children start with an activity that helps them feel comfortable with the subject of the week. Spiritual-Awareness: The facilitator or an older child reads a Bible story that illustrates the concept the children are learning. Application The children talk about how the concept of the lesson applies to them. The Coordinators’ Guide includes everything a person would need to know to start a Growing Seasons group. A simple, fun activity to do at home to nail down the concept of the week.